Rob did the plumbing and my dad built the base. I measured and helped cut the hole in the salvaged solid surface counter my dad brought, and the kohler cast iron blue sink and the faucet is salvaged from the old kitchen we tore out. I’ll be painting it white this week. 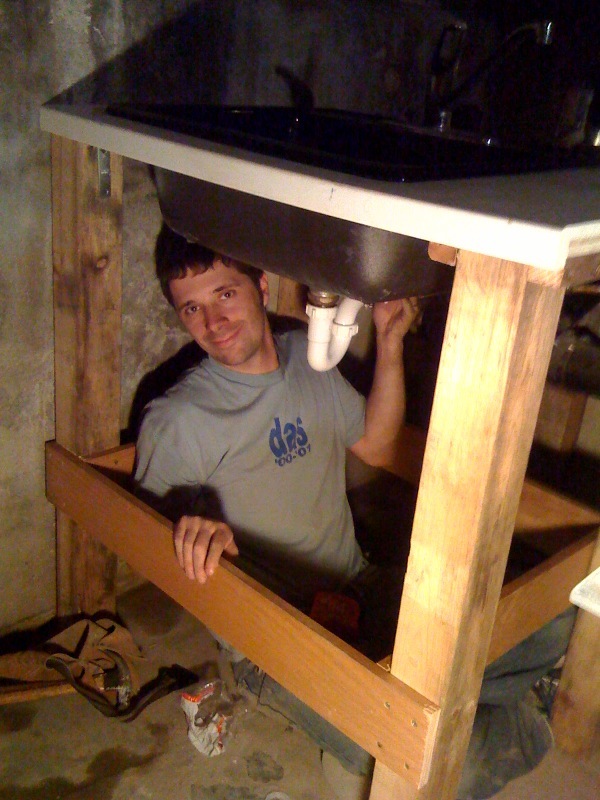 Sweetness is… a working sink in your house! Yay team!